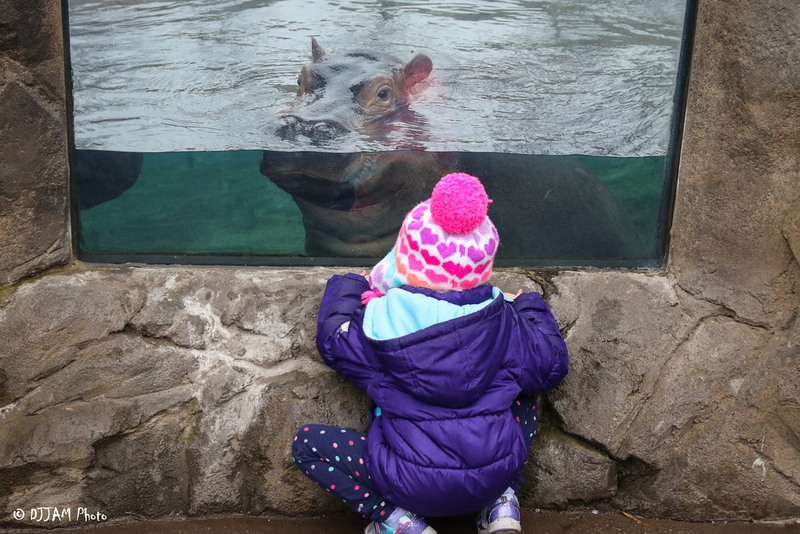 A Zoo membership is a terrific way to enjoy year-round fun and education! Please contact us for assistance! Member Services opens daily at 10:00am, and you may call (513) 559-7713 or e-mail us at [email protected]. Children/grandchildren age 18 and under. Children/grandchildren age 18 and under. Children/grandchildren age 18 and under. All members are held to the Zoo’s Policies, found at Visitor FAQs. *Internet Explorer or Firefox web browsers recommended. Join the Cincinnati Zoo Member HQ Facebook Group for exclusive news & content! 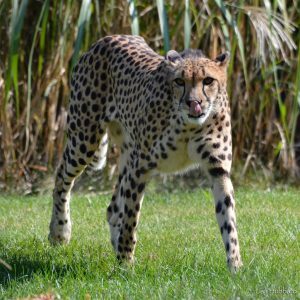 Learn more about our Zoo Access for All program. The perfect gift for any Zoo lover! Zoo Bucks never expire and may be spent anywhere at the Cincinnati Zoo and Botanical Garden from admission to membership or even a bite to eat! Zoo Bucks are delivered as a PDF attachment via email and may be printed or forwarded to the recipient. Looking for a wild and unique gift? Give the gift of membership! When you purchase a gift membership, you (as the gift giver) will receive an e-mail confirmation with a PDF gift certificate attached that the recipient will redeem at their convenience to begin their membership. The PDF can either be printed or shown from a smartphone to redeem at Member Services at the Zoo. You will not need any of the recipients information to purchase a gift membership. The gift membership starts when the recipient redeems it at Member Services. The membership is valid for one year from the redemption date. Gift memberships in the form of renewals will add one year from the current members expiration date (i.e. if the current members expiration date for their membership is 3/31/2018, the gift membership will add one year and expire on 3/31/2019). You will not need the current members information to complete the transaction. Click one of the links below to start the gift membership process. Take Your Membership to The Next Level. Join a Donor Club Today! Explore our Donor Clubs, a unique opportunity to support your Zoo with a charitable gift and receive exclusive benefits. Join/Renew KEEPER CIRCLE! 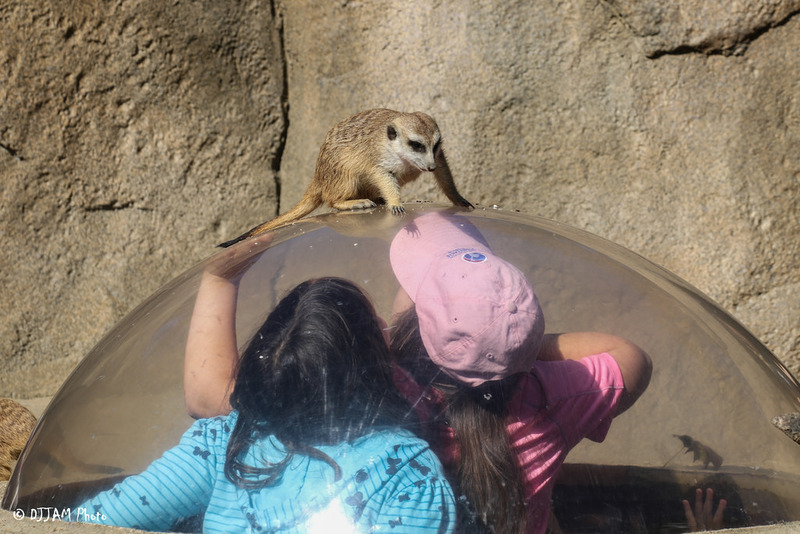 Maintain all the benefits of a Platinum level membership plus special events throughout the year before or after Zoo hours for adults, families, children or grandchildren. You can join the Keeper Circle with a gift between $500-$999. In honor of our founder, the Andrew Erkenbrecher Society was created to recognize our dedicated and visionary donors who give $1,000 or more annually to support the mission of the Cincinnati Zoo & Botanical Garden. This distinguished Donor Club includes a Family Platinum Membership and exclusive benefits. We invite you to join the Andrew Erkenbrecher Society by making a donation today! Please click here or contact us at [email protected] for more information about donor clubs. A: The membership office is open daily, 10:00 a.m.- 5:00 p.m. and you may call (513) 559-7713 or e-mail us at [email protected]. Q: How do I join the Zoo? Q: I'd like to send my babysitter/nanny/caretaker with my child to the Zoo without me. How can I do that? A: Please send your membership card, along with a note that explains that the adult accompanying your child is doing so with your permission and knowledge. That person will present the note and the membership card at the turnstile for admission for the child – the caretaker will require a ticket. For Gold and Platinum Level members, the free guest(s) included with your membership CAN be used for this person accompanying your child. The “guest” would present the note and the membership card at the turnstile for admission for themselves and the child. Q: Can my non-member guests enter with me during Early Entry hour (9:00AM-10:00AM)? A: Any visitors accompanied by a member may enter during Early Entry with the purchase of a ticket. Please remember Early Entry is from mid-March until the end of October. 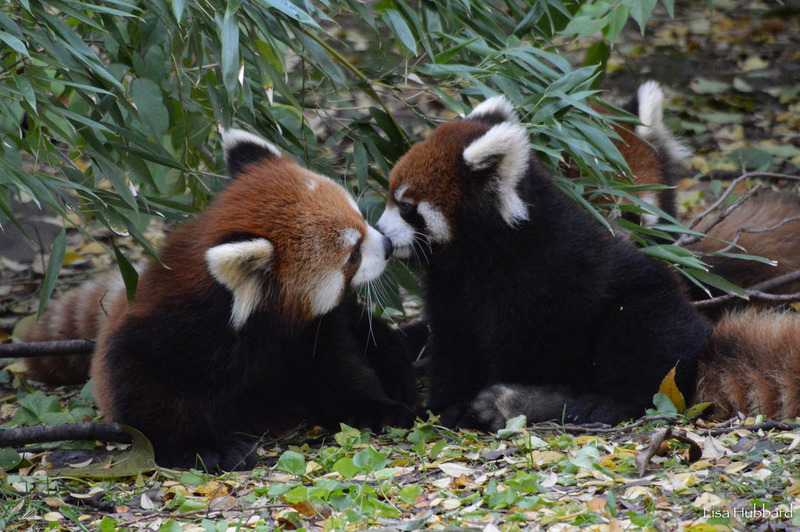 The Zoo opens to everyone at 10:00AM from November through early-March. A: The free guest(s) included on Gold and Platinum memberships receive free rides on the train/carousel when accompanied by the member. A: All members may purchase up to two half-price guest tickets per day. Half-price guest tickets can be purchased from any ticket window with the presentation of a valid membership card. Half-price tickets expire at the end of the calendar year. The discount is limited to one transaction per day (the discount cannot be applied to a single ticket twice in one day, for example). A: Zoo memberships are purchased for the goods and services offered by means of the membership and are NOT tax deductible EXCEPT if the amount paid is $75 or less. Memberships $75 and under are considered an insubstantial benefit and are therefore 100% deductible. Please consult a tax advisor for additional information. Q: After I buy my membership, when will it expire? A: All memberships expire the last day of the month they are purchased in, the following year – so you and your family will have at least 12 months to enjoy the Zoo year-round. A: We always add 12 months to your current expiration date when you renew. For example, if your membership expires 6/30/18 and you renew 4/4/18, your membership will be extended to 6/30/19. Q: My gift membership expired. Does that mean I can't redeem it? A: We will honor the value of the gift certificate you received, even beyond its expiration date. However, if the price of the membership has increased since the time of purchase (or if there are any other differences in price where the value of the membership you are receiving is higher than what the gift certificate was purchased for) you will be responsible for covering the difference. Q: Can I use my membership for my child's school field trip or a group sales event? A: Memberships are not applicable for admission or rides during school field trips or group sales events. Q: If I have FREE parking included in my membership, where do I park? A: Parking is limited to one vehicle per named adult on your membership, per day. 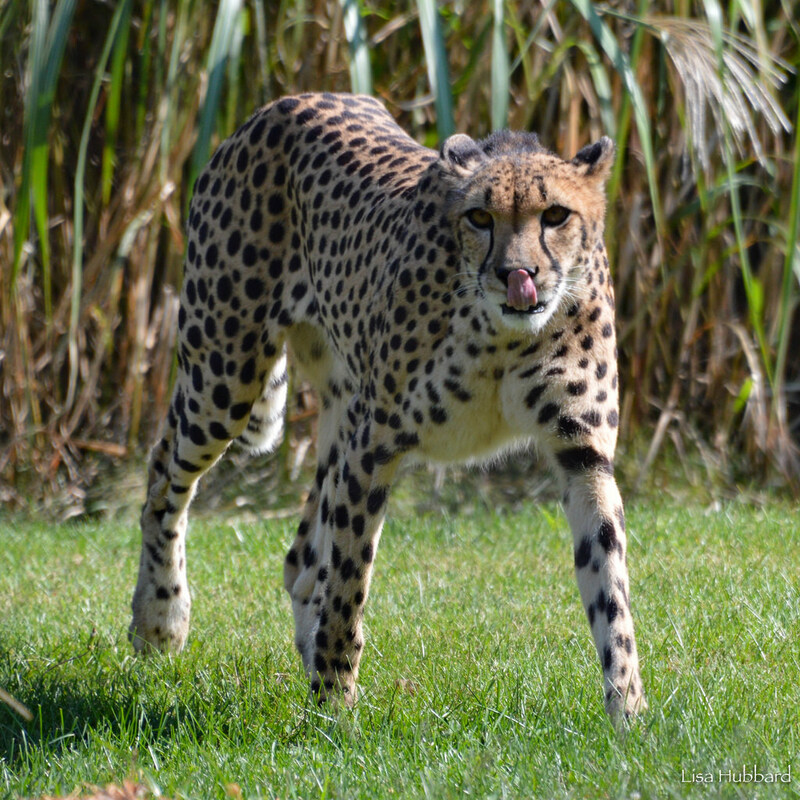 If you have a Platinum, Gold or Standard membership, you may park in any open Zoo parking lot free of charge. Due to limited availability, parking is first-come, first-served and is not guaranteed on high volume days. Q: How many children can I include on my membership? A: Family memberships allow up to eight children/grandchildren age 18 and under. Please consider a Platinum level membership if you would like to cover more than eight children/grandchildren as those memberships include up to four additional guests. A: A Family level membership may include all grandchildren age 18 and under (some restrictions apply). Q: Can I use my membership for PNC Festival of Lights? A: Zoo memberships are valid for all seasonal events, such as Zoo Blooms, Zoo Babies, HallZOOween, and PNC Festival of Lights. Q: When do I receive my membership card and will you take my picture? 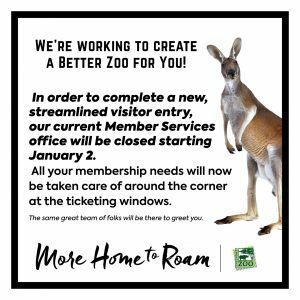 A: If you join the Zoo or renew your membership on-line, you will receive an e-mail confirmation with a temporary card that you can use immediately. You will be able to pick up your membership card(s) at the Zoo on your first visit. Your membership will not be sent through the mail for an on-line order. If you join/renew through the mail or over the phone, you will receive your membership cards through the mail in 7-10 days (depending on volume). If you join during your visit to the Zoo, you will receive your cards that day. You will not have to have your picture taken for your membership, but all named adult members must present a photo ID each visit with your membership card. If you would like to have your picture taken so that you don’t have to present a photo ID each visit, we can do that for you at Member Services. You do not need to have all members of your party present to pick up/receive your cards. Q: What if I don’t have my cards yet but want to visit the Zoo anyway? A: No problem! Just stop in Member Services and we can issue you a Day Pass. You may then take your Day Pass and photo ID to the turnstile for entry. Please note, if you forget your membership card, we will issue a Day Pass one time as a courtesy; additional occurrences will require purchase of replacement cards (see next question). Q: How do I replace a lost or damaged card? A: There is a $7.00 fee for lost or damaged membership cards. Please contact the membership office to pay by phone or visit Member Services on your next visit to replace your cards. Q: Can I use my membership for admission to other zoos? A: You can use your Cincinnati Zoo membership to receive FREE or discounted admission to over 100 other zoos and aquariums nationwide. Some popular organizations that are NOT on that list, however, include San Diego Zoo, Bronx Zoo, Indianapolis Zoo, and Newport Aquarium. You can view the most current list here. We strongly recommend you contact the zoo or aquarium you want to visit prior to your trip as the reciprocal list is subject to change without notice. Q: Can I lend my membership card to a friend or family member to use? A: No. Memberships are non-transferable and non-refundable. All sales are final. Q: Why do I have to show a photo ID each time I visit? A: As a non-profit organization that relies heavily on membership and attendance for support, we must prevent misuse of our membership cards. We also want to protect our members should their cards be lost or stolen. We try hard to keep our membership prices affordable for as many families as possible. If families and neighbors shared memberships, our revenue would be severely reduced and we would have little choice but to raise our prices. We have added that capacity to take your photo in the Member Services office if you would like to stop in and have that done. You will not need a photo ID on future visits once we have stored your photo. You will still need to provide your membership card for entry. Q: I’ve already renewed my membership but I continue to get renewal notices in the mail. Should I be concerned that you did not receive my renewal? A: If you have recently renewed your membership, please disregard any renewal notices that follow. Although we work to process renewals as quickly as possible, there is a chance that you may receive another notice before your payment and renewal is processed and entered into our system. If you have any additional questions about your renewal or if it has been over a month since you renewed, please call our membership office for more information. Q: If I want to join the Zoo on the day of my visit, can I receive credit from my admission toward the cost of the membership? A: If you purchase tickets to visit the Zoo and would like to convert them into a membership, you are able to apply up to 100% of the admission and parking you paid toward your membership. Some restrictions apply. Ticket conversions are applicable only on the day of your visit. Please stop in Member Services to purchase. If you do not see your question here, please call the membership office or e-mail us at [email protected]. 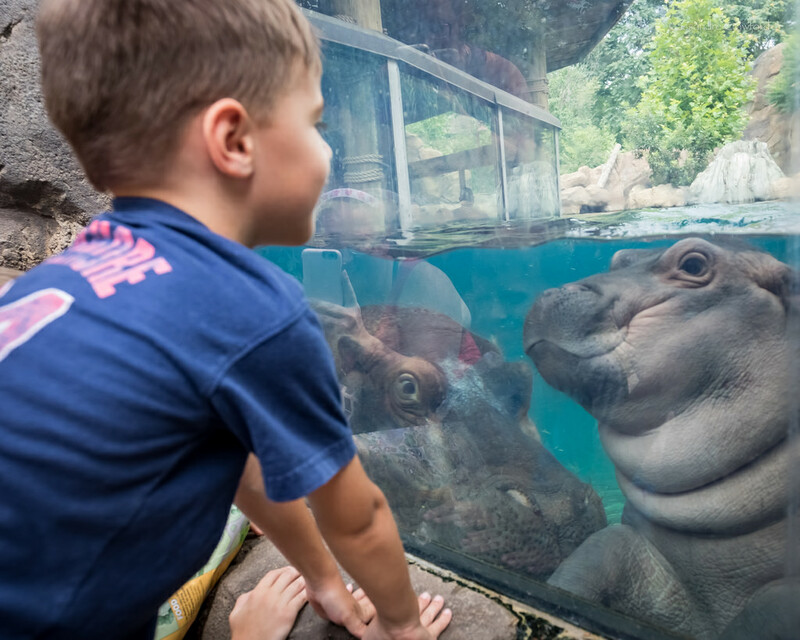 Please note: If you are a member of one of the following zoos and aquariums, you will receive 50% off general admission at the Cincinnati Zoo & Botanical Garden, regardless of your zoo or aquarium’s free/reduced admission policy.